By 1974, Van Morrison was probably exhausted. During the past ten years, the Irish troubadour had morphed from a garage rock king (as the leader of Them) to a pop hit machine to the craftsman of such landmark albums as Astral Weeks and Tupelo Honey. His eighth album, Veedon Fleece, hit stores in late 1974, shortly after the release of those instantly accessible masterpieces — and it was greeted by a collective shrug by the rock critical establishment. Time has proven them wrong. 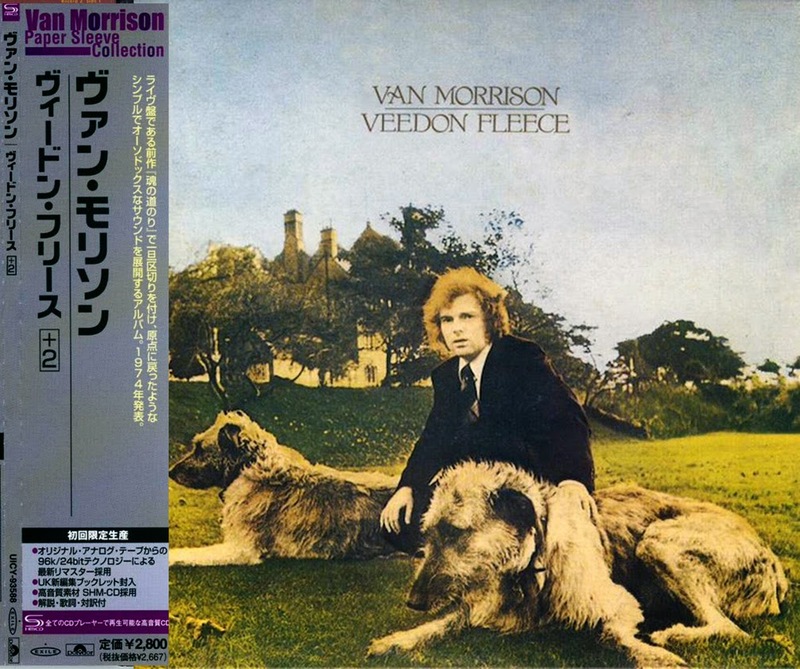 The album is the grand culmination of Morrison's work over the past decade, combining R'n'B with celtic music, country and traditional rock and roll. At the center of it lies "You Don't Pull No Punches, But You Don't Push The River" — a wildly ambitious, nearly nine-minute song filled with piano, soprano saxophone and flute, where Morrison sings about the quest for the mysterious "veedon fleece" — an elusive treasure that's never quite defined. Repeated references to "William Blake and the Sisters of Mercy" may leave you scratching your head, but it's clear this album finds Morrison at the absolute top of his game. "Streets of Arklow," a tribute to the historic Ireland town, is another stunning beauty featuring Morrison singing in top form, complimented by a string section. This reissue includes a scant two bonus tracks and no liner notes, but it's still worth the price for the improved sound. After Veedon Fleece, a drained Morrison took the longest break of his career, not emerging until 1977. He's released many wonderful albums since, but he's never again hit the majestic heights of this one. 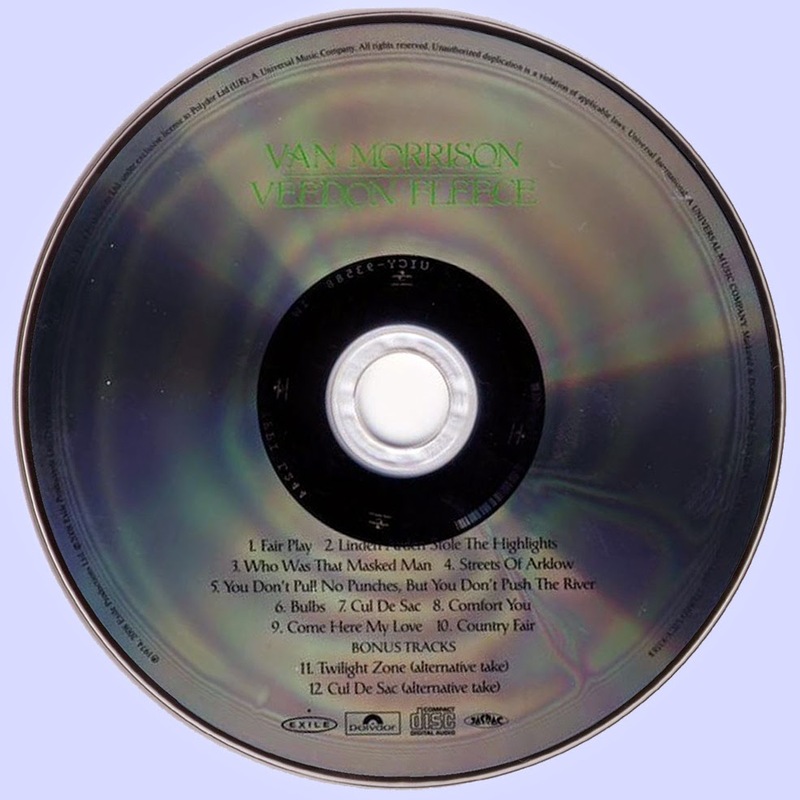 All songs written by Van Morrison.